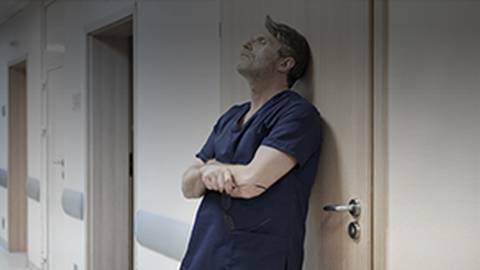 One in two physicians in the United States report at least one symptom of career fatigue or burnout, and an alarming 400 physicians take their own lives each year due to depression. Adding to this staggering epidemic is the fact that when a healthcare professional suffers, so do their patients and family. This is a special edition of Clinician’s Roundtable on ReachMD. I am your host, Dr. Jennifer Caudle, and joining me today is Dr. Joanna Petrides, Clinical Psychologist, Assistant Professor in the Departments of Family Medicine and Psychology, and Resident Research Director in the Department of Family Medicine at Rowan University School of Osteopathic Medicine. Dr. Petrides will be sharing her views on career fatigue, what the warning signs are, and even more importantly, what interventions can be put into place to help prevent burnout. Dr. Petrides, welcome to the program. Thank you for inviting me to join you, Dr. Caudle. It’s my pleasure to be here. Well, I’m so excited that you’re here, and this is such an important topic as we’re discussing career fatigue and burnout. Maybe you can start out by discussing what trends are we seeing in today’s community of physicians and other healthcare professionals when it comes to career fatigue and burnout, and are there any warning signs? Absolutely. Burnout is something that affects someone’s physical, mental, emotional and spiritual health. It doesn’t just have momentary effects, and it doesn’t just focus on one of these elements of being human. It’s an all-encompassing problem that spreads. In healthcare professionals especially, we’re seeing a loss of enthusiasm for their work, cynicism, and even a low sense of personal accomplishment. Other signs of burnout include excessive absenteeism, reduced job satisfaction, interpersonal conflicts at work and at home, detachment from their patients, destructive and impulsive behaviors and feeling dread towards going into work each day. There are also some professionals who demonstrate more passive symptoms, and things to look out for in this sense are like withdrawal from responsibilities, decreased productivity and even isolation from others. Let’s not forget that many of these symptoms can result in onset or increased symptoms of depression and anxiety and even result in suicide, which we know is another area of concern among physicians and healthcare providers. So I always tell people, “If you notice someone with these symptoms or if you notice them in yourself, it’s important to say something.” Burnout is something that most people aren’t aware of unless it’s brought to somebody’s attention, so if someone is noticing it in a colleague, I encourage them to speak to their colleague. If they are noticing these symptoms in themselves, I encourage them to really explore avenues for privately seeking out help and treatment. And I know healthcare providers can often be cautious about seeking care in order to protect their privacy, but there are definitely resources available to them that maintain their privacy as well. So burnout overall, it’s not an individual problem. It’s really a systemic issue. Are we seeing more of this as time has gone on? Are the rates increasing? Do you have any thoughts about that? So I think the rates are definitely increasing, but I think they may be increasing because we are more knowledgeable about what this is. We’re more likely to speak out and say, “This is what’s going on with me.” And it’s not just one person having… You know, there’s that hush feeling that, “I’m the only one experiencing this, so I can’t say anything about it.” I think now people are speaking a little bit more. More surveys are being done and they’re more anonymous as well, so there’s more information being asked about, so I think we’re getting more information, and that’s generally looking like the trend is going up. Those are actually really great points and reminding us that, yeah, we might be talking about this more, and that would certainly change how much we know about the topic and how many people we’re aware of have it, so I think those are great points. Moving on, we know that career fatigue doesn’t just affect clinicians but also clinicians’ patients and families. How does this type of collateral damage take shape, and what does it look like over time? That’s an excellent question. When I lecture on this topic, I tend to have a comic sketch up on the screen, and it’s a patient and a physician in an exam room, and the physician looks all out of sorts. You know, there are stars circling his head. And the physician asks the patient, “What brings you into the office today?” And the patient responds with, “Hey, doctor, I feel how you look.” And I just feel like that’s a very effective way for many of the physicians in the audience to kind of recognize that things are being noticed. Patients are noticing how their doctors look, and patients are very attentive to what their providers are putting out. But it’s not just about looking fatigued or worn down. Physicians are much more likely to make errors in medical care and prescribing if they are burned out, which obviously has significant effects on patient health. And then patients are concerned about when they see their doctor struggling, what kind of care are they getting? Doctors tend to have a lower threshold for certain patient behaviors and they may start being curt towards their patients. They may rush through visits. They may not be as thorough as they used to be and more. These are all things that patients notice, and it can deter them from returning to the office, and therefore affecting a physician’s bottom line. On the flip side, there’s the whole element of home-ness as well, and family members are just as targeted towards burnout as the individual provider. Physicians who are burned out are much less likely to participate in activities or go to social events with their family members, and if they do go, they are often distracted or eager to return home, and so physicians can be more irritable, quick-tempered with loved ones, and that can increase arguments over petty topics, create dysfunctional relationships and produce a very mentally and emotionally absent partner or parent, so in the end, family members can often be left feeling attacked or ignored by the physician family member and can make for poor relationships, which can often lead to separation and/or divorce. You bring up a lot of really important symptoms and signs, and I think it’s right that you bring up the point that we don’t just look at the physician or the healthcare provider, but we also look at how the physician or healthcare provider is feeling and how that affects patients and families, because this is almost like a global thing. It’s more than just the healthcare provider being involved. And I’m really glad that you’re talking about these symptoms. I know of your work with physician burnout and career fatigue and the lectures you’ve given, and it’s something that we’re talking more about, but it’s something that I think is really important to give ourselves permission to discuss, and by you talking about these symptoms and being very specific, I think it helps us and all of us really take a look at how we’re feeling and how we’re doing, which is really important. So moving forward, let’s talk about when you’re treating someone who is suffering from career fatigue. You’re a psychologist. You see a lot of things. When you’re treating somebody who may have this, what are some of the interventions or lifestyle changes that you recommend? That’s probably one of the hardest things to reprogram in a healthcare provider, but one of the first things I emphasize are boundaries. I can’t emphasize this enough. Medicine is a career based on selfless sacrifice, and this is drilled into the training of physicians. This approach, perhaps, contributed to the ongoing and rising numbers of burnout in healthcare providers. For me this speaks to the imperativeness for physicians to treat other areas of their lives as much of a priority as their careers and patient care. In addition to boundaries, which can roughly be translated into politely saying no to more responsibilities than you have time for, I encourage a lot of my patients to utilize mindfulness, which can be a bit unclear for some people, but what I mean by mindfulness is being present in the moment, being where you’re at rather than being distracted by the things that are not right in front of you; so if you’re at work, keep your mind at work; if you’re at home, you’ve chosen to create a distance from the office; allow that distance to be there rather than dwelling on charts or any other encounters that may have happened throughout the day. And this can be very challenging for physicians who are often constantly connected to their phones or other electronic systems, and providers tend to feel some guilt when they’re not available to their patients or their office, but honestly, though, it’s really time to work on that discomfort that physicians feel when they are disconnected and to challenge the guilt that they feel in being unavailable to their patients. In terms of other lifestyle changes, starting the day with a very relaxing routine—one of my favorite things is really, fully taking in the experience of brewing my coffee and avoiding the phone and any overnight notifications or e-mails that may have come in until I actually get to the office, and it’s a small little change, but it has made all the difference because there’s a much better outlook to each day rather than being hit with stressors almost immediately upon waking up. The same old saying of healthy eating, exercise and sleep habits, sometimes I feel like I’m preaching to the choir, but sometimes I’m not, because physicians take an exception to this recommendation and they feel that they should provide it to their patients but not really adhere to it themselves. I used to believe that exercise came after I was done with everything else, but my mind shift has absolutely changed and definitely for the better in the sense that now I schedule exercise as part of my day. I schedule healthy eating habits, things like that, because all the other stuff that I’m putting exercise off for, they’re still going to be there when I’m done. So why not break up the day a little bit and then return to the things that I need to do, which are just going to be waiting for me if not in addition to more things when I’m done with my exercise as well? Another small little change, for those of us who have difficulty leaving work on time, try to find a way to schedule some appointments or events kind of close to the end time of your workday because that forces us to kind of wrap up by a certain time and get out of there. Especially with physicians who may have children who are especially involved in athletics or even theatrical performances and things like that, I tell them go to the early showing or tell your child that you’re going to make it to their game that’s at 6:00 p.m., and that way maybe it will really push them a little bit out of the door at an appropriate time. Lastly, I tell doctors a lot, “Trigger your creative side.” Healthcare providers are constantly pulling information and recalling facts and figures, and that leaves them feeling drained. When we activate the creative part of our brain, we’re really restimulating ourselves and really kind of counterbalancing a lot of what was going on throughout that day. Those are really excellent tips. I’m really, really glad that you took the time to kind of go through a number of tips one-by-one, because my hope is as a family physician I’m listening to your tips and I’m like literally over here taking notes and saying, “Ooh, what can I...” “Ooh, I can try that.” I mean, and I hope that for our listeners out there who are listening—maybe they’re in their car or maybe they’re at work or what have you—your suggestions are very practical and tangible. I know that I really love the idea of not looking at phone messages until a certain time and kind of holding off, as you mentioned, like being bombarded with stressors. I really like that idea. And also, for me, I think the idea of scheduling things close to the end of work, that’s a great idea, because you’re right, I’ve noticed with myself and I think many of us notice that when we have a hard deadline, it just pushes us even further to make sure that we’re getting out and maintaining other aspects of our lives, so I think that a lot of our listeners are going to find tips in what you mentioned that will relate to them and be helpful, so I appreciate that a lot. You’ve talked a little bit about the individual clinician and things they can do. Let’s talk about hospitals or hospital practices. I’m sure some of our listeners are maybe medical directors of practices or maybe in administration at hospitals or other health systems, things like that. So, what are things that can happen on a larger level from a practice or hospital level that can help protect staff members from burnout? I mentioned that it is a systemic issue, and so sometimes the workplace can contribute to burnout. Some of the small things is even honoring breaks. As healthcare providers, we always try to use down time to catch up or get ahead of certain things and we devalue our need to step away sometimes, so even having a work environment that encourages you or emphasizes it, and maybe even a supervisor that walks into your office and says, “Hello, it’s your break time,” or, “It’s lunch, why don’t you go sit at a different location, get away from your computer for a little bit?” and that sets our frame of mind a little differently. So that’s one small way that even in just small offices can make a huge difference. I’ve even heard of some practices having an office lunch where everyone—the office shuts down and everyone sits down to lunch together, and nothing is really required other than to be a human being, and that can be very helpful and leave someone feeling with a good feeling from work. Other things that maybe larger corporation or larger systems can be part of is defining someone’s role, creating that clarity, because then people feel less obliged to take on responsibilities that are outside of the scope of their role and they’re more aware of what is expected of them, so if they’re fulfilling that, they feel more positive about where they are working and they’re more likely to follow along with that path. Another thing that offices can do is giving employees a voice and seeking their opinions. The literature tells us that when people feel like their opinions, their thoughts and their decisions are valued, they feel much better about the work environment. They’re not so much feeling bad about the day-to-day drudgery of the administrative tasks—even something as simple as having the right supplies and resources for providers to complete their duties. It’s surprising this day and age, but many professionals will report that their office just doesn’t have the right tools to complete something, creating increased frustration, now we’re trying to be creative and create some sort of tool from what we have in our basket. Something like an administrative department can kind of make sure that things like these are budgeted for. That definitely helps out with some burnout. But even encouraging and maybe setting up some team-building activities in advance outside of work, make sure that there’s like a delineation that this isn’t related to your work. This training or this kind of event, it doesn’t have to come back and follow you into the office. This is just you being a human with your colleagues here. So I’ve heard of different offices even inviting a personal trainer to come in during lunch and do a group exercise demonstration. That was really interesting. And then some supervisors will organize events outside of the office, like a paint night at one of those shops where you follow a leader but you all walk away with the same painting, and it’s a nice, little way to connect with your colleagues and show each other your creative side, not just what you can do in the office. I love those ideas, and I’m actually thinking about I love my workplace. I’m a fan of my workplace, but I’m also thinking about a workplace that has a personal trainer coming in and working with employees over lunch. That sounds pretty awesome too, I have to say. Those are great ideas, and hopefully for your physician leaders or clinician leaders out there, that may give us some ideas to help implement changes for staff and faculty, etc. Any further thoughts about how we move forward with this topic of burnout and career fatigue? Any thoughts about how institutions need to be thinking about this, how individuals can be thinking about this? Any steps for moving forward and moving ahead? What are your final thoughts? Being an assistant professor at an osteopathic facility, their underlying philosophy is, “See one, do one, teach one,” so my colleagues and I consistently have these conversations that, if we’re applying this to medical education, why aren’t we applying it to training how to be a professional and how to balance your life? So I think it definitely needs to start from the top down, so let’s teach our students, let’s teach our residents, let’s also teach ourselves how to be people and how to care for the multiple areas of our lives. Additionally, it’s all about just being verbal, sharing with people how you feel, what you need, and even asking help, and that can be one of the hardest things for physicians to do is to ask for help. Sometimes it’s seen as a sign of weakness, but I think it takes more strength to admit that, “Do you know what? This is where we can kind of work together instead of me having to suffer in silence.” That’s what I want to leave your audience with. I want them to kind of just know that they’re not alone, and if they’re feeling burned out, there are things that can be done, but nothing is going to get done unless something is said. I think that’s a really, really great point, absolutely. And, Dr. Petrides, I really, really appreciate you coming to chat with us about this. Clearly, this issue of career fatigue is becoming increasingly relevant in our healthcare community, and that’s in no small part because of the work you and your colleagues are doing. So you have really given our audience some great tools to help prevent and overcome burnout. Thank you so much, Dr. Petrides, for joining us today. Thank you. It’s been my pleasure to discuss this important topic with you. And I’m Dr. Jennifer Caudle, and to access this episode and others in the series, please visit us at ReachMD.com where you can Be Part of the Knowledge. Thank you for listening. Have you ever experienced career fatigue? 1 in 2 physicians do. Know the warning signs to look out for and how you can combat burnout. Career fatigue is a staggering epidemic where not only the healthcare professionals suffer, but so do their patients and family members. 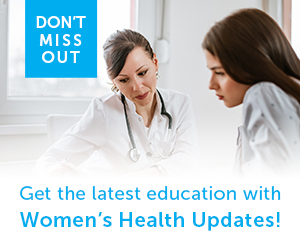 Join Dr. Jennifer Caudle as she speaks with Dr. Joanna Petrides, Clinical Psychologist and Resident Research Director of Family Medicine at Rowan University School of Osteopathic Medicine, about the warning signs physicians need to be aware of and the preventative measures that can be implemented to help keep them healthy.